One of our parents was recently told by their child’s gastroenterologist, “I don’t care what the autism doctor thinks (about weaning the child’s dose of polyethylene glycol 3350), I’m concerned about fixing his constipation.” The toddler has speech delay, stims, repetitive behaviors, and doesn’t play with other children. Is it impossible for such professionals to make some connection between G-I problems and autism? Miralax is not a medical workup. An authority. In one sentence he has totally dismissed all the weaknesses that doctors like him proclaim in order to criticize complementary and alternative treatments. Except that there is a great deal more evidence to support our positions than the claims made by MiraLAX’s manufacturers. And I’m not getting paid by probiotic companies (a better way to treat G-I problems in small children). The label states that the drug should be administered for only short-term and occasional use – a week or so. Many doctors give it for years with no apparent problems. Except that if you don’t think that delayed neurologic development is related to gut abnormalities, you wouldn’t notice the problem. 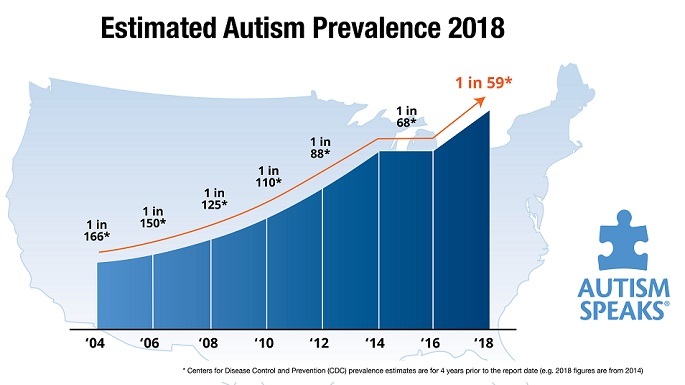 The rise in MiraLAX’ use has paralleled the rise in autism, and that deserves further study; as does the increase in many other potentially toxic substances, such as antibiotics and steroids. Is there anything better for significant constipation? It is so effective that it caught on quickly as a way to cleanse the gut for endoscopic examinations, then for treating all kinds of constipation, for longer periods of time, and eventually in children. Then, it was approved for over-the-counter short-term use, and still not tested in children. Now, the respected medical advice is that it’s perfectly OK, even though the FDA has issued warnings about claims and safety. Of course, the better route is to perform an appropriate workup on any patient who has multi-system involvement. The WHOLE patient. That is not what I witness in my daily practice. I often interview families who have never even had a blood count, let alone thyroid function,vitamin and mineral levels, or liver and kidney function testing. Autistic children deserve a proper evaluation, but the lack of language and altered sensory perceptions in the patient dictate that the practitioner must search for underlying illness. Those same professionals who give Miralax literally like water would probably say that all of this ‘leaky gut’ stuff is unproven and poorly documented. I see sick intestinal health in practice every day. If the junctions between cells that are supposed to be tight have become damaged and swollen, chemicals may not remain local to the intestines. Polyethylene glycol 3550 might be leaking into some kids’ blood, liver, kidneys and brains. Long-term use could cause significant changes in gut flora and allow viruses and fungi to proliferate. Vitamin absorption in the gut might change. It isn’t difficult to imagine many of the features that we assign to autism as downstream difficulties that get exacerbated by the chronic use of MiraLAX. At best, Miralax presents reasonable short term relief. It is a bandaid that often obscures the treating physician to the real difficulty. At worst, it could be a significant player in a vicious cycle leading to signs and symptoms in some children who appear to have ASD. This entry was posted on Monday, October 8th, 2012 at 10:38 am	and is filed under >ALL<, Alternative and Complementary Medicine for ASD, Autism Therapies, Patient experiences, Reversing autism. You can follow any responses to this entry through the RSS 2.0 feed. You can leave a response, or trackback from your own site. Thank you for your contributions. As a nurse for over 34 years I speak with mothers of autistic children who have sometimes been prescribed Miralax for six to eight years. They cry when I read this list of side effects outlined in the petition against Miralax submitted in June of 2012. In December 2012 the FDA warned of reports of possible neuropsychiatric events. When will the madness of Big Pharma stop? This is a short list, there are many others have symptoms that have been reported. Hi my name is Jeannette , I have a Niece that’s 4 years old, she is Autistic , she recently just started Banging her head and we don’t know why . but she does get constipated so her mom was told to give her Miralax. could this be a side effect ? just wondering ..
Not sure if it’s the polypropylene glycol, pathogenic bacteria, or yeast, but more Miralax just makes it worse. I am an adult with Aspergers. I had horrible reactions to Miralax – Dizziness, Anxiety, Mood changes (and I’m stable), Nightmares, Fatigue, to name a few. Then I came across this page and was validated. I am not taking Miralax ever again! September 2014 – Due to serious safety concerns raised in an FDA Citizen Petition filed by consumer group, Empire State Consumer Project (ESCP), the US Food and Drug Administration (FDA) agreed to study the effects of polyethylene glycol 3350 (PEG 3350) laxative use in children and issued a grant to the Children’s Hospital of Philadelphia to conduct the study. The group submitted the petition in 2012 on behalf of parents who say their children have been harmed by polyethylene glycol 3350 drug products. There is special concern about the safety of PEG 3350 laxatives like Miralax, which are not approved for use in children, and are not approved for more than seven days use. Many children are prescribed multiple daily adult doses by doctors off-label, often for months or years at a time. The ESCP petition calls for an investigation into the effects of PEG 3350 on children and a boxed warning on PEG 3350 products. The boxed warning was not granted, but the FDA has decided to update the labeling of prescription PEG 3350 bowel preparations with more stringent warnings and precautions for patients with certain health conditions. The safety concerns reported in the FDA Citizen Petition are symptoms similar to those of ethylene glycol toxicity. The petition grant includes an agreement by FDA to study the potential for PEG 3350 to degrade into ethylene glycol (EG) and diethylene glycol (DEG), and to study the long term effects of PEG 3350 products on pediatric patients. Ethylene glycol and diethylene glycol are chemicals used to make antifreeze. Both are toxic to the central nervous system, liver, and kidneys when ingested. In recent history, DEG contaminated cough and acetaminophen syrups killed hundreds of adults and children. In 2007, the FDA issued a warning for consumers not to buy toothpaste from China, as some brands were made with DEG. Empire State Consumer Project has since petitioned the FDA to issue a Drug Safety Communication regarding the finding of ethylene glycol and diethylene glycol in all lots of PEG 3350 it tested, so that parents of study participants and all parents can be made aware of the potential for PEG 3350 to contain ethylene glycol and diethylene glycol. This petition for a Drug Safety Communication was denied. The EPA recommends that children not be exposed to more than 20 mg/L or 20 parts per million (ppm) of ethylene glycol in drinking water per one day or 6 mg/L or 6 ppm per day over 10 days. The adult doses of PEG 3350 tested were found to contain 0.3 mg of ethylene glycol of daily exposure for a 44 lb. child. This exposure is in addition to any EG and DEG exposure that may be found to occur from PEG 3350 degradation of the laxative products. The health effects of long term exposure of children to PEG 3350 are not known, although risks from short term exposure to EG and DEG are well documented in humans. Empire State Consumer Project is a 501c3 registered Not-for-Profit Organization dedicated to reducing the use of chemicals toxic to human and environmental health. We accomplish this by educating consumers and industry, conducting product testing and reporting, and by advocating for regulation where needed to protect the public interest. Great article…..kudos to you for speaking the truth!! Oct 2015 – 11,570 +661 from Sept and +2497 from Feb. Please consider voicing your opinions & concerns to the FDA. It’s easily done on their website, here’s a great article by TMR explaining the reporting process at thinkingmomsrevolution.com then reporting-adverse-reactions-vaers-and-faers/!! Stimming is a repetitive body movement that self-stimulates one or more senses in a regulated manner...known in psychiatry as a "stereotypy", a continuous, purposeless movement.